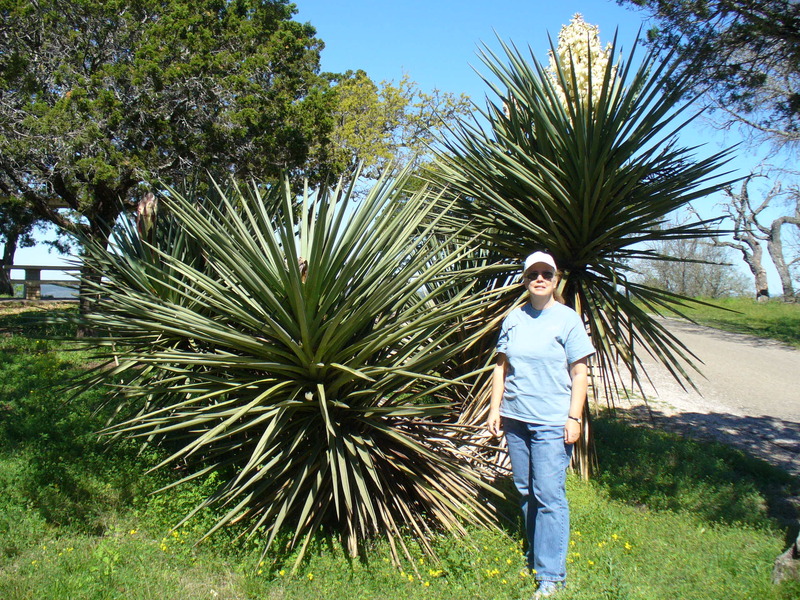 There are more than 40 species of Yuccas, ranging from Mexico in the south, to Baja California in the west and as far north as Alberta Canada, and of course right here in Texas. Like other desert plants, they have developed mechanisms for storing water. Some have a waxy or oily coating on their leaves to prevent evaporation, others store water in thick root systems, and others even drop their leaves when it gets too dry. The dead leaves hang against the plant and protect the trunk from the sun. Next time you see a yucca, notice the v-shape the leaves. This design helps channel water, whether dew or rain, directly to the roots of the plants. 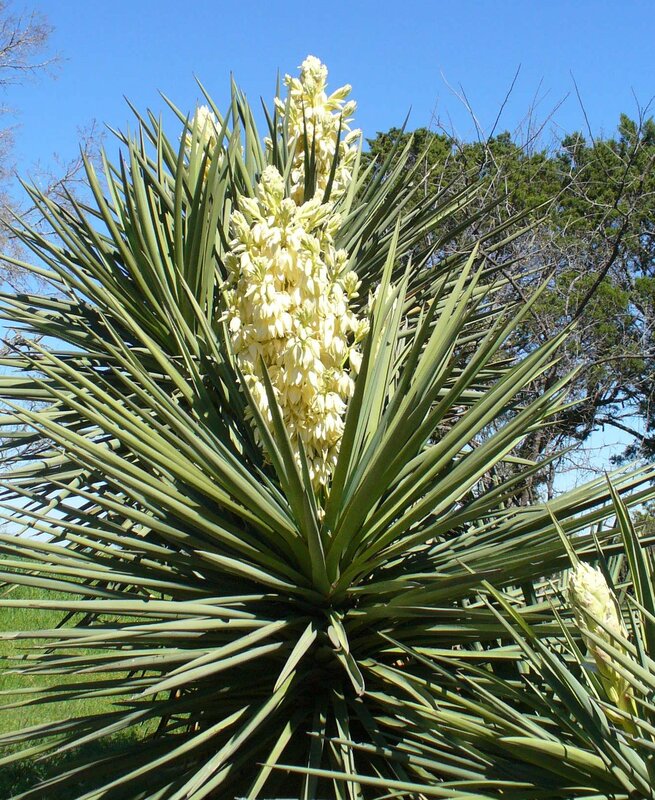 The yucca plant has a mutualistic pollination relationship with the yucca moth. The moth flies between yucca plants to pollinate the yuccas. It then lays its eggs in the protected petals of the yucca flowers. As the seeds develop, the moth larva eat the seeds, but never all the seeds, so there will be more yuccas. This helps both the moth and the yucca. Ancient people used the yucca fibers for rope, sandals, even baskets and paintbrushes to decorate their pottery. They peeled and pounded the roots, mixed the pulp with water to form a sudsy shampoo. It was said it could cure dandruff and prevent baldness. Even today, yucca is still used. As an extract, it is used in carbonated drinks to enhance the flavor and foaming characteristics. In medicinal compounds, it is used to treat high blood pressure and high cholesterol. This is one really cool, interesting plant.